March | 2017 | Phil – Refuelled! 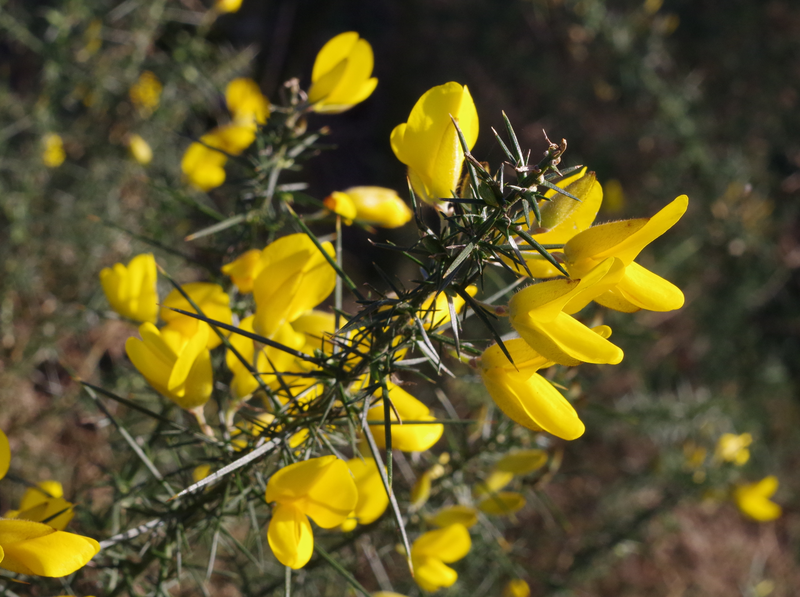 Yesterday, as I found this gorse bush in full flower, I felt cheered up – it’s a plant I love for its vivid colour. But a photo seemed just very ‘ordinary’ at first. Then I remembered something I often tell other people; lighting is everything. I moved round, and shot almost into the sun, so that some of the colour is from transmitted light (not just reflected light) and the background is much darker. I found the high contrast suited the subject. ‘Double heading’, where two locomotives pull the same train, isn’t uncommon. 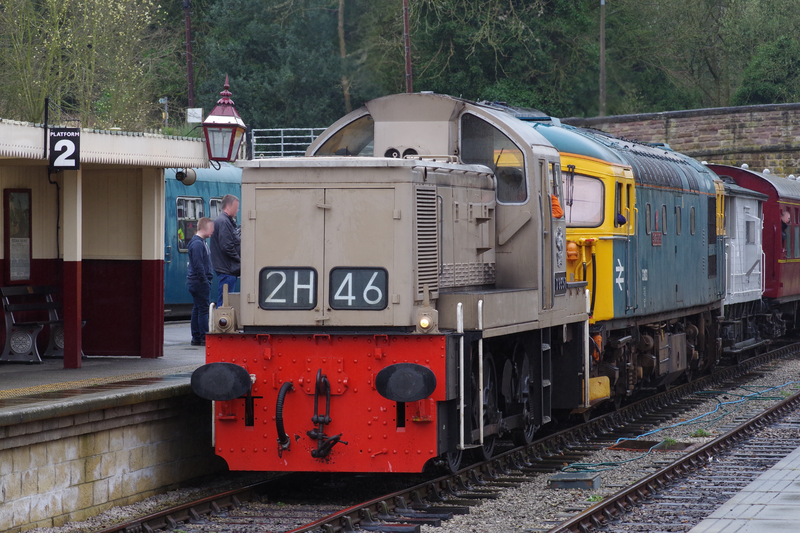 What is uncommon, here, is the almost laughable difference between the two locos. The rear one is powerful but nothing very unusual, but I’d never seen anything like the front one before. You’ll notice how much like a small steam loco it looks! Their diesel engine growl earned these small locos the name ‘teddy bears’. The idea was that they would replace many ageing saddle tank steamers, enabling branch lines to continue to operate. My faithful friend, Erica! I’ve always loved this flower, and I was glad to find this clump yesterday, where it decorated a small station garden at a heritage railway. Lots more spring flowers are coming out now; it’s always cheering to see them. 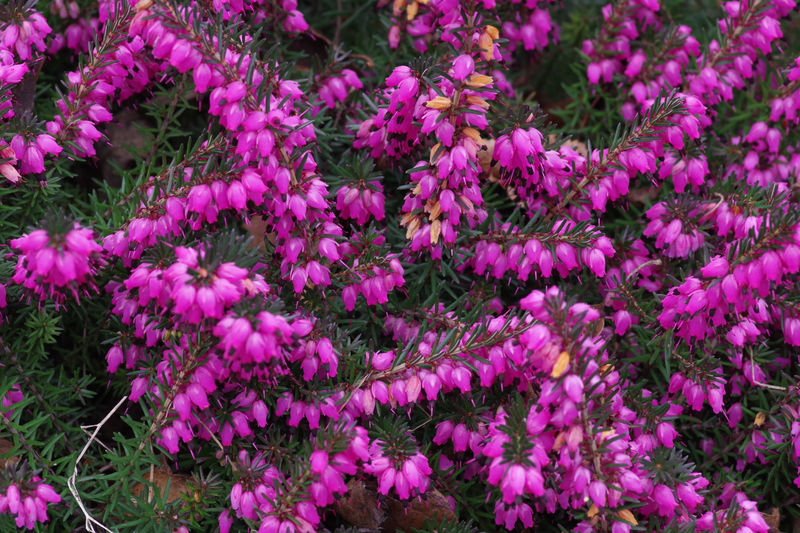 No, not a flower picture today, although I’ve seen a few more spring flowers this week. This picture is more meaningful to me just now. 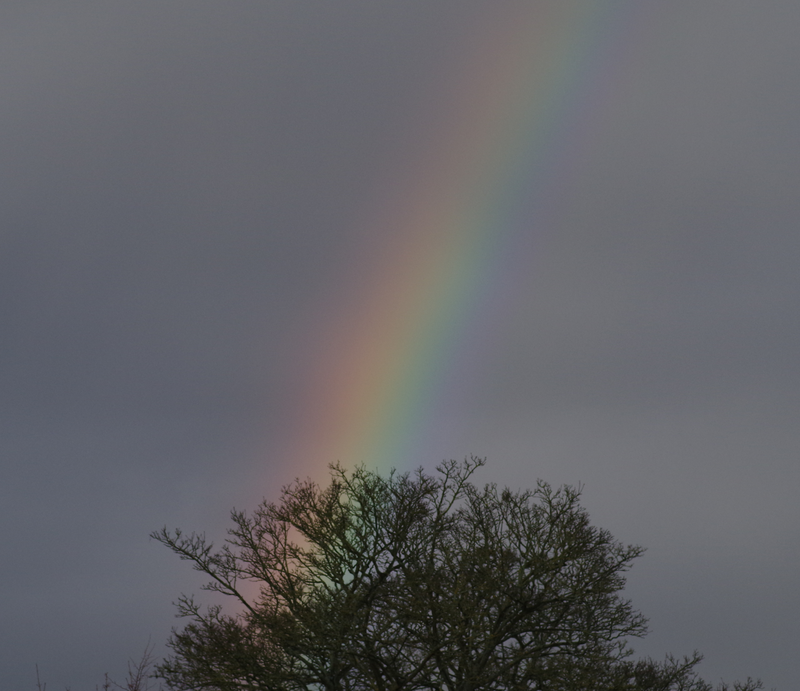 Yesterday (Saturday) I was out doing ordinary things, like routine shopping, and happened to be feeling rather despondent about a few things, when this lovely rainbow came into view in a very grey sky. It cheered me up – a lot. You know, you can’t just order a rainbow, or go and buy one. they just come when the conditions are right. As far as I was concerned, it was exactly the right time.